On 3 September 2015, the People’s Republic of China (PRC) organised a massive military parade to commemorate the 70th anniversary of the end of the Second World War. It was a major show of military might by the communist nation as not only did 12,000 troops marched but also much of their nuclear arsenal was put on display. The parade was a signal to the rest of the world of China’s assertiveness and its continual rise as a global power. It was also a memorisation of the defeat of Japan and hence evoking the brutal occupation that China underwent in the 1940s under Japan. In a somewhat similar line, on 8 September the Chinese Communist Party (CCP) organised a parade in Lhasa, capital of the Tibet Autonomous Region (TAR). The parade had around 6000 participants and around 20,000 people attending the spectacle. This parade was to commemorate the 50th anniversary of the founding of TAR. Yu Zhengsheng, head of China’s highest political advisory body and also a current politburo member attended the parade in Tibet with a delegation of sixty five central government officials. The event is of much significance to the Party State as it formally marks the incorporation of Tibet as an administrative entity into the PRC. In his keynote address Yu Zhengsheng termed Tibet as entering into a “golden era”. The parade and the occasion that it marked is of great significance to China as Tibet (along with Xinjiang and Taiwan) remains a core issue for the Communists. 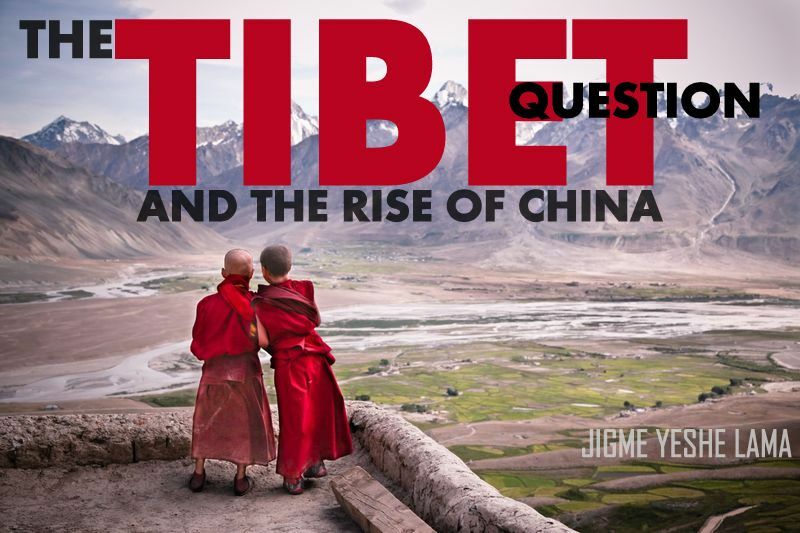 The ‘Tibet Question’ as it is more popularly known, has remained a major challenge to the party state’s legitimacy as well as is seen to be denting China’s rise in the global order. Tibet is one of the domestic issues which constantly irks Beijing and also has major international repercussions. The Tibetans are seen to be a restive population challenging Beijing’s sovereignty in the region. This has been recently seen in the form of the 2008 protests that spread across the Tibetan plateau and also through the 145 plus self immolations, majority of which have taken place in the eastern Tibetan regions (ICT). The issue of Tibet is further buoyed by the presence of a strong and vibrant exiled Tibetan community with its own democratic administrative apparatus headed by an elected political leader, under the moral and religious guidance of the Dalai Lama. Furthermore, the internationalisation of the Tibet issue has taken place through the efforts of the Dalai Lama, who is vilified as the “wolf in the monk’s robes” by the Chinese leadership. Beijing sees him as a bitter splittist, a part of the ‘Three Evils’ (Separatism, Splittism and Extremism) whose aim has been to split the motherland even though the Dalai Lama has consistently emphasised that his demand is for greater autonomy which is well under the ambit of China’s constitution. Prior to 1951 the Dalai Lama was the ruler of Tibet, exercising both temporal and spiritual powers over the Tibetan population. The Tibetan state on the eve of the liberation by China was a unique system based on the principle of “cho-si nyidrel” which roughly translates as religion and politics combined. Religion in the form of Tibetan Buddhism played a highly important role in maintaining the ruling system which mirrored a somewhat feudal setup that was premised on a cultural nexus of authority. Hence, the communists encountered this pre modern state system which was well entrenched in the Tibetan plateau and where the Dalai Lama and other reincarnated lamas exercised strong authority and legitimacy. From 1951 – 59, the communists followed a policy of united front towards the traditional ruling elite in an attempt to incorporate and gain legitimacy from them. This failed with the abortive uprising by the Tibetan masses in Lhasa in March 1959, which subsequently led to the Dalai Lama coming into exile. The party state considers Tibet to be historically a part of China and has adopted a twin strategy of economic development equated with repression to maintain their rule. Under this, the Tibetans have experienced a double digit growth for the past several years. In 2014, the region’s GDP was up by 12 percent. Much of the growth has however taken place through subsidies granted by the central government as well as through the “aid Tibet” programs. The focus of the growth atleast till 2011 has been in urban areas, where we see a concentration of Han and Hui Chinese migrants from other provinces, while majority of Tibetans are based in the rural areas. Thus, the fruits of economic development are not truly reaching the indigenous population. Economic disparity is a major cause of discontent of the Tibetans against the party state. Tibet is also a treasure house of natural resources for China, with abundant minerals, petroleum and natural gas being available on the plateau as well as being the source of the major rivers which feeds the populations in south, South-east Asia as well as China. It was primarily due to strategic and security concerns that the Chinese communists decided to incorporate Tibet into PRC in 1951. These are very much present in the current period with China having unresolved border issues with India. Till 1951, Tibet was the buffer zone between these two emerging Asian giants. However, the Tibet question can also be understood in terms of nation building for post colonial states like PRC, where the integration of Tibet and Tibetans is still an ongoing process of nation building for China. As it is the case with most peripheral regions, there is strong resistance against this project of the nation state which has led to a rise in ethnic nationalism as a response from Tibetans, challenging the rise of China. Jigme Yeshe Lama is a doctoral candidate in the Centre for East Asian Studies, School of International Studies in Jawaharlal Nehru University, New Delhi, India. His PhD thesis deals with the issue of legitimacy in Sino-Tibetan relations testing it in light of Gramscian hegemony. He has made several national and international presentations and has been published by the current affairs journal World Focus. He was awarded the 2015 Mira Sinha Bhattachejea Award for best paper by the Institute of Chinese Studies, New Delhi India. Thomson Reuters ResearcherID - K-8255-2015.